In the world of wine, we really like acronyms. We were talking to you recently about the CCIV in Bordeaux, now at the AOC! Behind these three little letters there’ s a whole universe. Let us tell you about the Appellation d’Origine Contrôlée and its secrets. The AOC or Appellation d’Origine Contrôlée is a French-French label… 100% created and developed in France. Its ancestor was born in the south of the country, in Châteauneuf-du-Pape exactly, in 1924. In order to fight against phylloxera disease, declining quality or fraud, Baron Le Roy decided to set up the Châteauneuf winegrowers’ union, then, in 1929, the Côtes-du-Rhône union. But it was not until 1935 that the AOC was officially created, following a Decree-Law on the defence of the wine market. A little precision: there are some for many products, such as the delicious Espelette chilli pepper from our Basque neighbours! Let’s first discover its partner the PDO or Protected Designation of Origin, the second acronym of this article! According to the INAO website (another acronym for the National Institute of Origin and Quality! ), PDO refers to “a product whose all stages of production are carried out according to recognised know-how in the same geographical area, which gives the product its characteristics. It is a European sign that protects the name of the product throughout the European Union. The AOC refers to products that “meet the criteria of the AOP and protect the name on French territory”. Since 1 January 2012, the AOC label on products has been replaced by the AOP label… except for wines! A terroir and a geographical area are essential to produce an AOC, but it is also essential that specific know-how be applied using very precise specifications. What is the purpose of the Appellation d’Origine Contrôlée? The objective of an AOC is to give an identity to the wine by giving the best of its terroir. It is also a question of giving consumers points of reference so that they can choose the best vintage to serve their meal / aperitif (delete or not the unnecessary mention). They will thus be able to find dominant grape varieties and the personalized aromas of a terroir. Today there are more than 363 AOCs of wines and spirits, with a turnover of around 21.2 billion euros. They represent more than 77% of French wine production and are displayed on all bottles. They are called Beaujolais Villages, Gigondas or Cadillac Côtes de Bordeaux (to name but a few) and are subject to different production methods, but also packaging and labelling. The specifications are quite extensive and this is for one main reason: to provide the most typical wine to consumers. 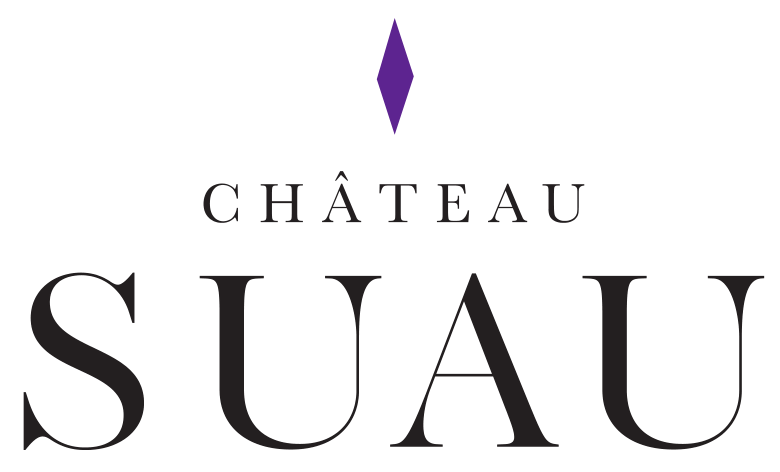 At Château Suau, we are delighted to have three AOCs: Bordeaux, Côtes de Bordeaux and Cadillac Côte de Bordeaux. As its name suggests, the AOC Bordeaux is a registered designation of origin produced in the Bordeaux vineyard. We are fortunate to belong to the big family of this gigantic vineyard: in 2009, there were 38,490 hectares in red, 6,040 hectares in white, 4,725 hectares in rosé and 700 hectares in clairets. The Bordeaux Appellation can be claimed (under certain conditions) by all red, rosé and white wines made from grapes harvested in the wine-growing communes of the Gironde, except for palus, marshes and forest areas. AOC Côtes de Bordeaux is produced in several parts of the Bordeaux vineyards. Created in 2009, the appellation has four geographical names, including our Cadillac-Côtes de Bordeaux (2,975 hectares) in the Entre-deux-Mers vineyard (formerly Premières Côtes de Bordeaux rouges). And what are your favourite AOCs?